Since the earliest days of the Mayan civilisation, Mayan society highly esteemed the warrior class. This became the basis of a primary nobility and royalty in Mayan cities. Over time, the division between the nobility and the commoner class became very well defined. Commoners were the lowest members of the society and they usually had no chance of ascending to a higher social status. In some cases, skilled craftsmen could become somewhat more honourable than the commoners. Priests were also a very powerful social class and worked either in collaboration with the rulers or directly under them. Most aspects of Mayan society were defined and controlled by the priestly class. Mayan rulers were hereditary and in many Mayan cities, single dynasties ruled for long periods of time. 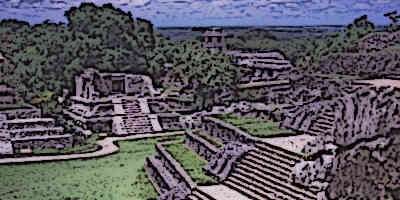 The king was both the symbolic and the practical centre of any given Mayan city or Kingdom. His palace was built in the central plaza of the city and the most important religious and administrative buildings were situated next to his home. A Mayan ruler was considered the religious, political and military head of the state. He had supreme authority and sometimes considered a manifestation of the gods, or at least a person with direct divine sanction from the deities. In some cases, the rulership passed on to a female heir when a Mayan ruler didn’t have a direct male heir. Religion and belief systems were a very important part of the Mayans social life. It impacted the outlook of the society, its structure, economy, social stratification and all other aspects. The belief system, in turn, was developed and interpreted by the Mayan priests. Priests held a lot of power in the Mayan society. In early Mayan periods, rulers embodied the powers of the high priest as well but in later periods, priesthood became an institution of its own. In all times, priests worked directly in collaboration with a ruler and approved his divine sanction. Priests also served as performers of rituals, shamans, educators for the nobility class and as guardians of most sciences. 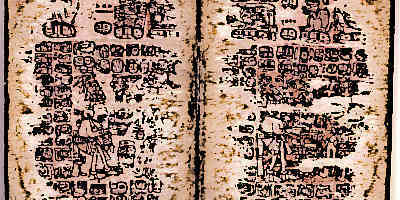 Scribes were a distinct class in Mayan society. They usually hailed from the Mayan nobility since commoners were forbidden from reading or writing in the Mayan language, or even learning it. Scribes usually underwent extensive training under the Mayan priests who were the primary guardians of the Mayan written language. In most cases, a number of scribes were attached to the court of a Mayan ruler. Less frequently, Mayan rulers themselves learned the art of writing and were scribes as well. The scribes usually served in conjunction with the royal courts. Major writing of literature such as codices on mythology were limited to the priests and were not included in the work of the scribes. Mayan nobility was a very powerful part of Mayan society. The nobility had many privileges and rights which were otherwise denied to the commoners. They lived aloof from the commoners yet commanded the commoner class and ruled them. The nobility usually occupied honourable administrative, civic and military positions. They served as the top officials of a ruler and also as the major military chiefs leading the troops of a city. The Mayan religion and social customs clearly considered the nobility as more esteemed than the commoner class and limited many things exclusively to them. For instance, only the noble class in Mayan society could wear headdresses, possess art work and consume chocolate drinks. The commoners were forbidden from doing any of this. 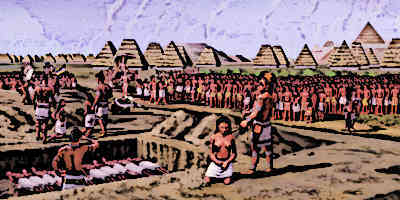 Mayan commoners usually lived in personal portions of lands. 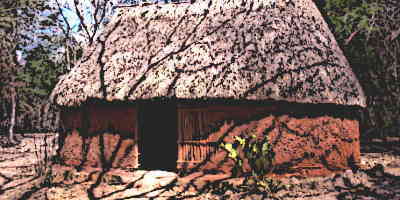 There they built their hut-shaped houses. Extended members of a family clustered together and shared a personal garden, kitchen, cemetery and storage space. 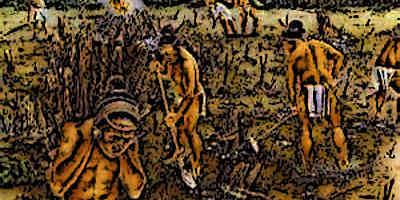 The commoners were usually employed on jobs related to farming and hunting. They also served as troops whenever warfare was waged. 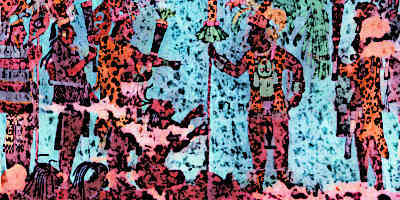 The commoners had few privileges in Mayan society. They would toil hard as part of their job and in return, had sufficient food and provisions to spend their life without any luxuries. Even if a commoner did ever amass enough fortune, he was forbidden by law from indulging in any activities imitating the nobility. 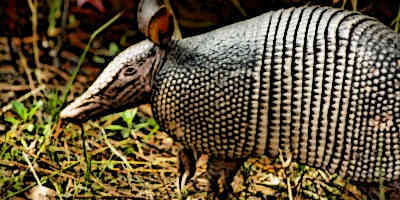 Craftsmen, skilled artists and workers who excelled in other specific skills usually hailed from the Mayan commoner class. But they were esteemed one station above the commoner class. Mayans esteemed the excellence of a craftsmen very highly. Craftsmen were usually employed in making intricate jewelry, headdresses and other decorative pieces of art which Mayans could use. Artists, stone masons, architects and other workers who could show excellence in a specific skill were also likewise esteemed. However, even this class was forbidden from possessing art or showing off their affluence in the public. Mayan society existed under rigid and centralised forms of monarchy. The king was the supreme authority and he wielded this authority through the priestly class and the nobility. It fell to the king to guard the city, ensure its economic prosperity and make sure that the regular tributes to the gods were offered. Mayan society also had well-developed legal systems which were uses to define punishments for specific crimes. Punishments were usually swift and harsh. Criminals were prosecuted in special courts where lawyers argued in favour and against their case. The axe of justice usually fell on the commoners since the nobility was more powerful. 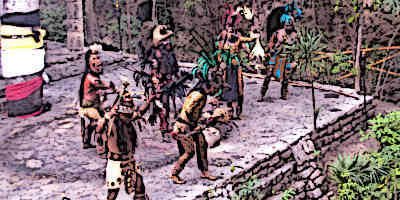 Mayan society comprised of many different social classes. At the top was royalty which in the ancient times, ascended to power because of its undisputed ability in warfare. Next came the priestly class and the nobility, who almost stood at par on the social ladder. The priests overlooked religious rituals, educated the nobility, guarded knowledge of religion and the sciences, and essentially served as intermediaries between the gods and the people. Nobility enjoyed powerful privileges and occupied prestigious positions in society. 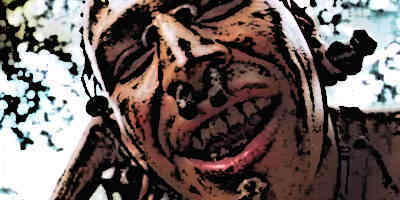 Commoners usually worked as farmers or hunters.